Nothing will be better than to kick back at the beach and relax after your first round of college finals at UW-Madison. Not to mention the Madison tundra in the winter is a very different experience than the average 75 degree weather in the Bahamas winters. 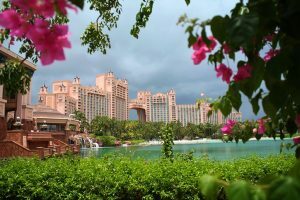 The Atlantis Resort in Paradise Island, Bahamas. CC Image Courtesy of Flickr. Tired of tanning? Don’t worry… Atlantis Resort has a ton of other options for you. Whether it’s swimming with dolphins, golfing alongside the ocean, or enjoying a nice massage at the spa, Atlantis really does offer it all. At night time, Atlantis offers both a teen club and an adult club (for us over the age of 18) where you can dance the night away and forget about those final grades. 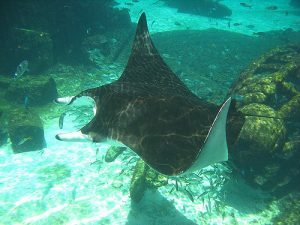 Atlantis also offers a variety of other creatures to observe in their aquariums located within their resort! CC Image Courtesy of Flickr. Why Atlantis? Other than the fact that it has an incredible amount of amenities and activities for you to enjoy after being stuck in a freshman dorm room the size of a shoebox for a semester, Atlantis offers incredible weather, time to relax with your family and/or friends, and did I mention playing with dolphins? Need I say more? Escape the Madison cold and enjoy a nice break somewhere warm. Hop on a plane and enjoy the Bahamian atmosphere at Atlantis Resort… it is paradise, after all.